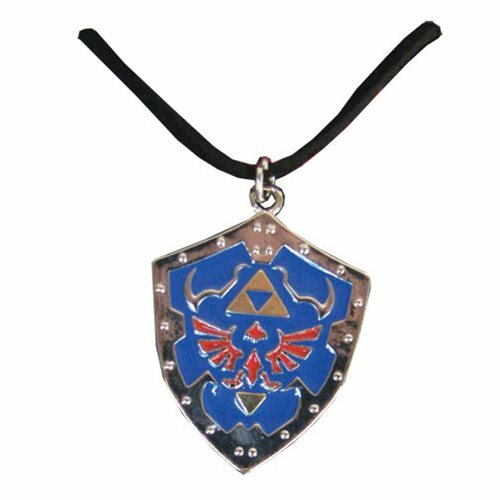 Devotees of The Legend of Zelda and denizens of the kingdom of Hyrule can now wear an iconic symbol from the action-adventure video game series in the form of this exciting Nintendo Zelda Shield necklace. Includes an 18-inch sueded cord with a 3-inch extender. Check out the matching Nintendo Zelda Charm Bracelet and Nintendo Zelda Shield and Sword Earrings, too! They're sold separately. Ages 14 and up.